Looking for the perfect gift for that special person... Who doesn't love a weekend getaway or a relaxing romantic dinner, or both? 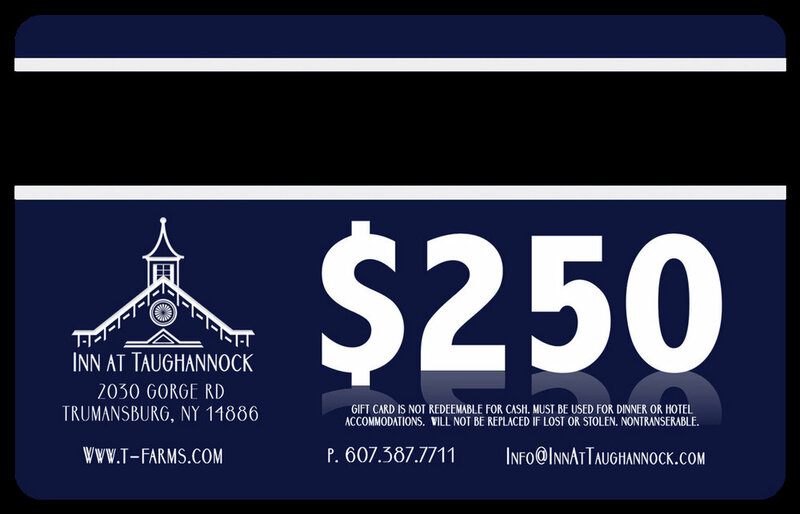 Give the gift of the Inn at Taughannock. It's the perfect present for all occassions. Gift cards may be purchased in any dollar amount and can be used for any Inn service, whether it's a weekend stay in our luxury Falls Suite, or a birthday dinner celebration for a larger group. To purchase a gift card, please contact Kim at 607-387-7711, she will be delighted to mail the gift card anywhere you desire with a personal note.